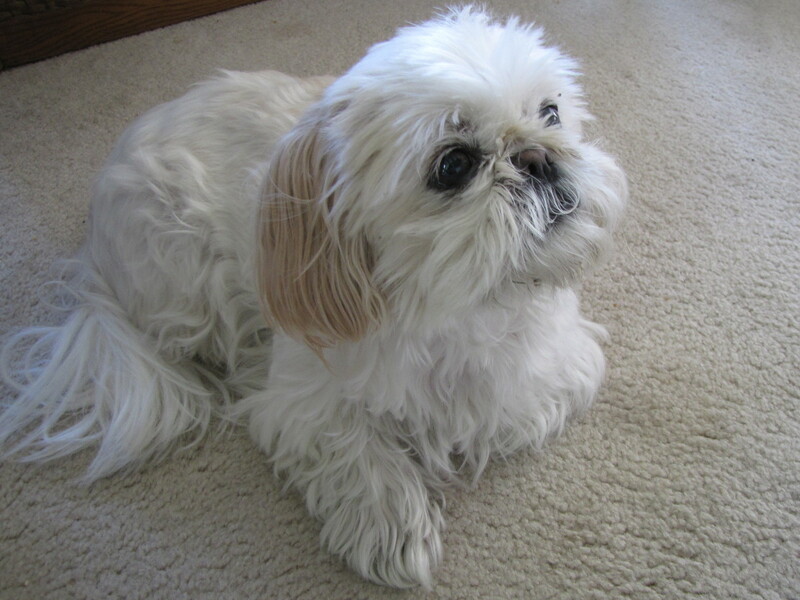 Our shih tzu, Gobi, was a treasured member of our family. For almost 14 years she happily went where we went and brought joy to all she met. Tired of spending too much money for your dog’s treats? Ever wonder where they are made and what exactly is in them? 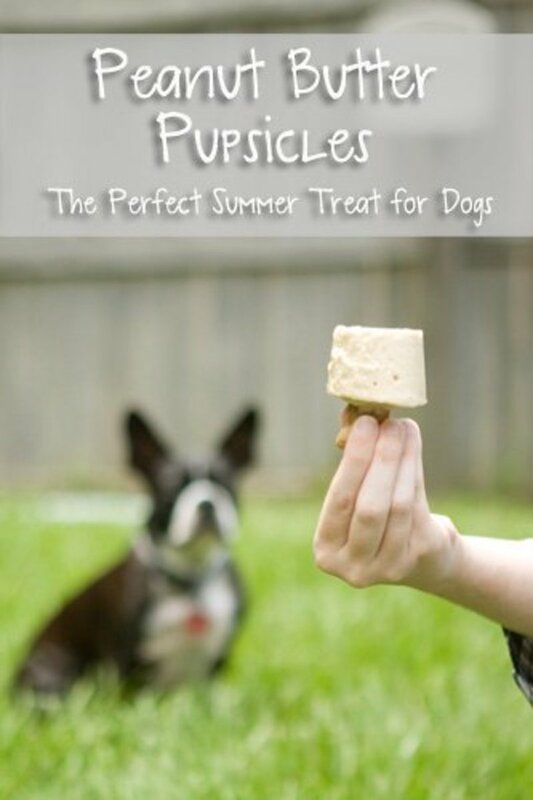 Have you ever considered making your own treats for your special pooch? The final straw for us came recently, when the pet supply store that we frequent informed us that the chicken and rice treats that we had been buying for our eleven-year-old Shih Tzu were made in China and were being recalled. This particular brand was responsible for making some dogs sick due to the fact the treats were irradiated. Now why on earth would they irradiate dog treats? Apparently it's to kill any bacteria that might be present in the ingredients, and it also prolongs the shelf life of the product. 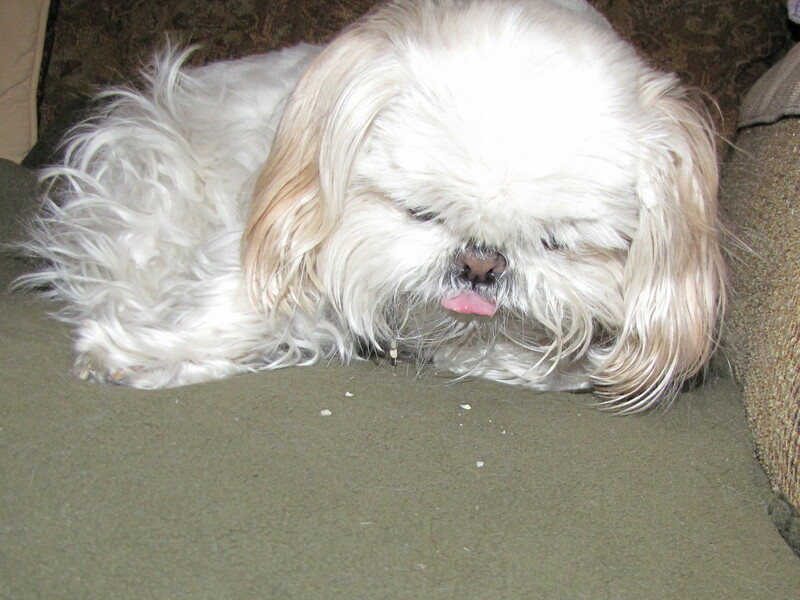 Well, we can tell you that this was the last time our Gobi was going to be eating these treats. A little background information on Gobi. 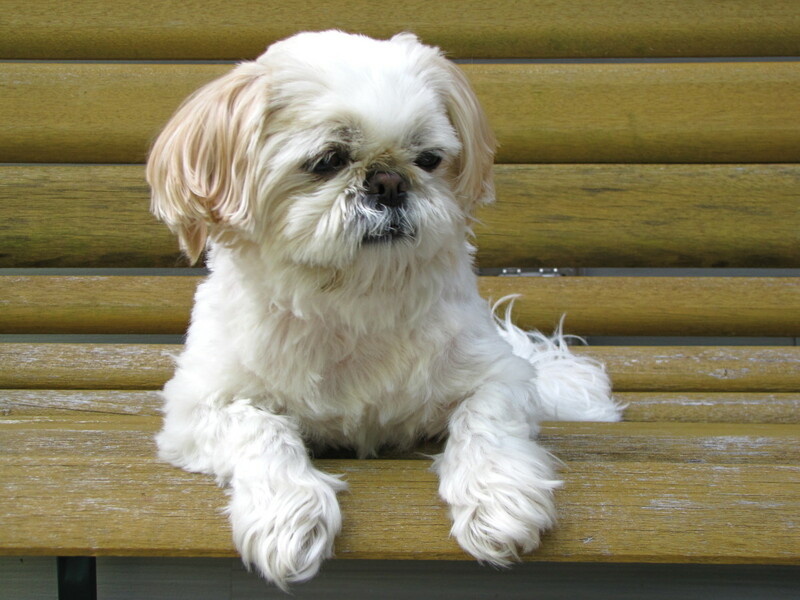 She is our eleven-year-old Shih Tzu who is still fairly active and loves to play. She loves to be around people and has a wonderful disposition. To us, she is a member of our family. So what to do about those treats? Well, my wife wanted to take a shot at making our own dog treats. 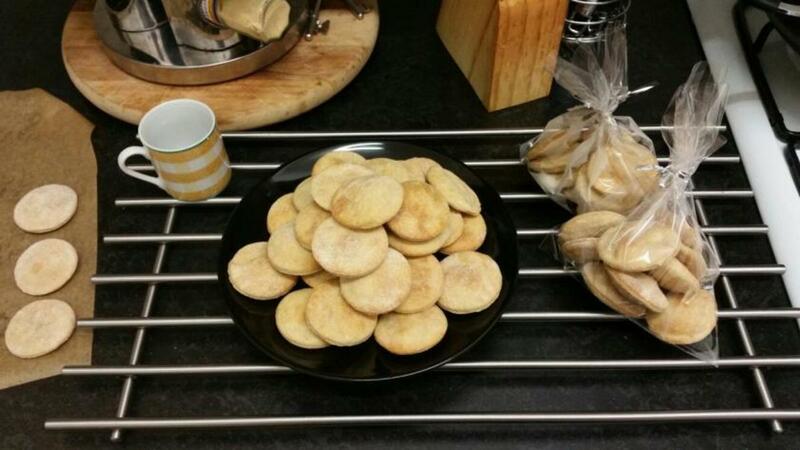 For years we have been making homemade food for our dog so why not treats? When Gobi was just a puppy, she had digestive problems and we really couldn't find a brand of food that she liked and that liked her back. Our veterinarian suggested a combination of sirloin, white rice, and pumpkin to help settle her digestive system. Well, ten years later she is still eating this mixture and still loves it. In deciding what type of treats to make, we quickly narrowed the choice to a few of her favorite things. Gobi’s favorite flavored treats are chicken and salmon. Yes, she eats better than we do, but there are worse things in life? Anyway, we decided to try to duplicate the chicken and rice treats that we had been buying her for years. This was really a very simple process. We took four split chicken breasts, trimmed away any fat and froze them. When we were ready to make the treats, we partially defrosted the chicken so that we could cut it into slices, allowing it to better fit into the food processor. Next, we just grind up the chicken in the food processor. You can also use ground chicken, which seems to be readily available in most supermarkets. You will also want to boil about two cups of plain white rice. Chicken and rice are the only two ingredients so like I said, "It’s pretty simple". If your dog prefers beef you can substitute hamburger for the chicken. If you are thinking of using turkey stick to the white meat and be sure to remove any skin and fat. Don’t use fried turkey and no seasoning or butter, which may upset your dog's stomach. Take the ground-up chicken and mix it with the cooked white rice. 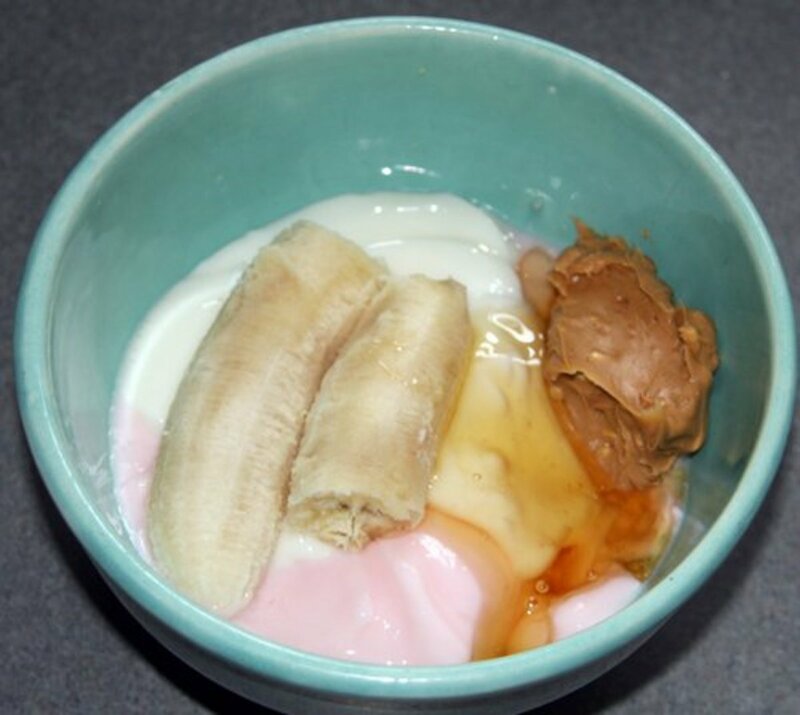 The mixture makes for a very sticky concoction. Then just roll a bit into whatever shape you want. You can make them into a small ball or roll them into little ovals, which is what we did. With the amount of chicken and rice that we prepared we were able to make about 150 small chicken-rice treats. Prepare the cookie sheet by spraying a little olive oil on it or use parchment paper, this will prevent the treats from sticking to the cookie sheet. Place your treats on the cookie sheet and bake them for about fifteen minutes at 350 degrees Fahrenheit, then roll them over and cook for another fifteen minutes or until they start to turn a golden brown. 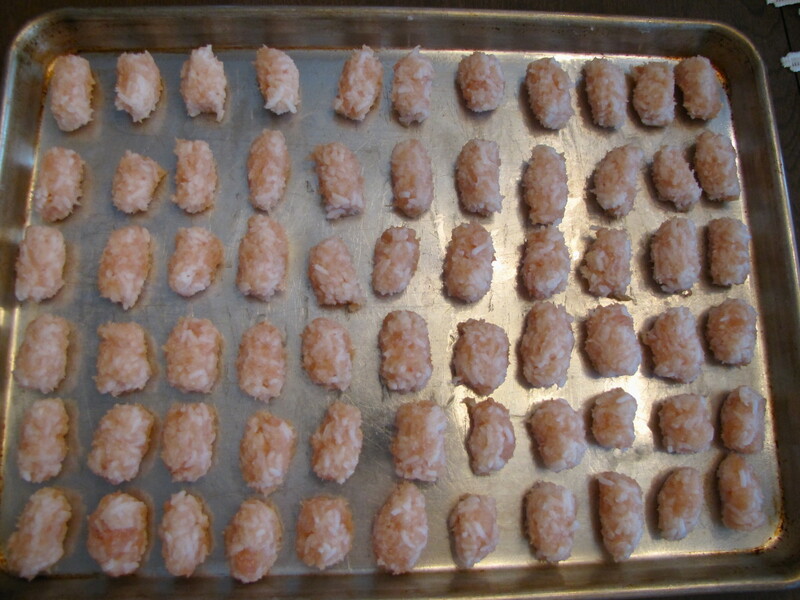 When done, let them cool to room temperature and then freeze them in a zip lock freezer bag. You can defrost them as necessary. As this was the first time we made homemade treats, we had to test them out on Gobi to make sure that they would be agreeable to her. It was a pretty good bet that she would love them and she did not disappoint. The great thing is that they are perfectly edible for humans as well, as the only ingredients are chicken and white rice. What better than to share a few snacks with your favorite four-legged friend? So was this worth the effort? Well, the old treats that we were buying were costing us $10 for a bag that contained about 50 treats. So, to buy 150 of these treats was costing us about $30. The cost to make the treats ourselves ran us about $12 for the four chicken breasts and probably no more than .25 to .50 cents for the two cups of rice. So, for a total of about $12.50 we were able to make 150 treats and saved ourselves $17.50 over the cost of buying them. The time we spent making them was probably about the same amount of time it would have taken us to drive to the pet supply store and purchase them so that’s pretty much awash. And the best part of this is that we now know exactly what we are giving her. So, our little experiment seems to be working just fine. Gobi loves her new treats and we are just as happy to be saving a few bucks. In the future we may experiment with a few other combinations. We may also use brown rice next time we make them which is healthier than white rice. As I mentioned earlier, other than chicken her other favorite food is salmon. At the moment we have a very good source for freeze-dried homemade salmon treats that Gobi really loves so we won’t mess with that just yet. If you’re inclined, give this a try. It’s actually a fun thing to do and the benefits are twofold; a healthy treat for your dog without worrying about the ingredients, and you just might save a few dollars along the way. Is that 2 cups of cooked rice or uncooked rice for this dog treat recipe? We start with 2 cups of uncooked rice and boil it. Then we mix it with the chicken or ground beef and hand roll the mixture into bite size treats. Place them on a flat cooking sheet and bake for about 20 minutes and you are done. Do I cook the ground turkey before mixing it with the rice for these dog treats? No, the ground turkey gets cooked after mixing it with the rice. We mix the meat with the boiled rice and then bake it in the oven. How long will the dog treats last in the fridge? 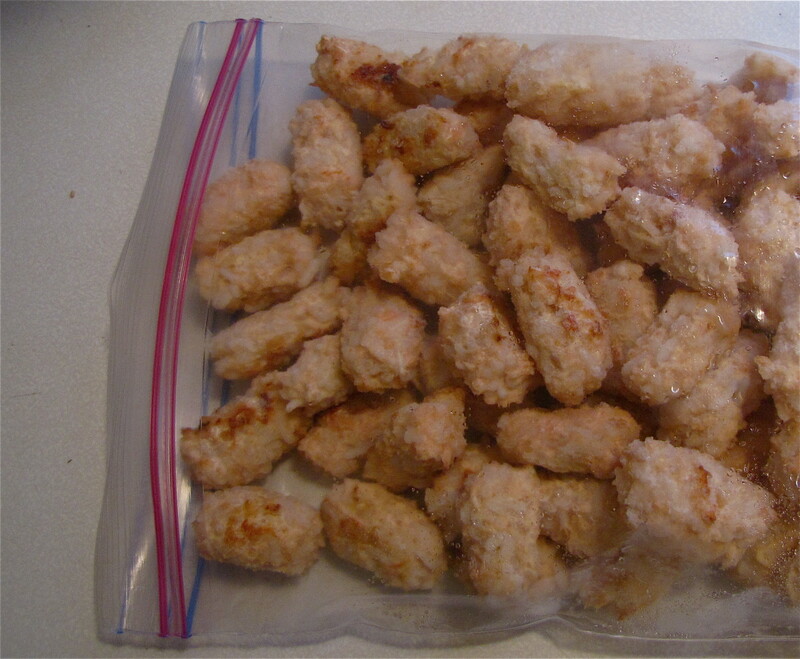 Do you refrigerate homemade chicken and rice dog treats? 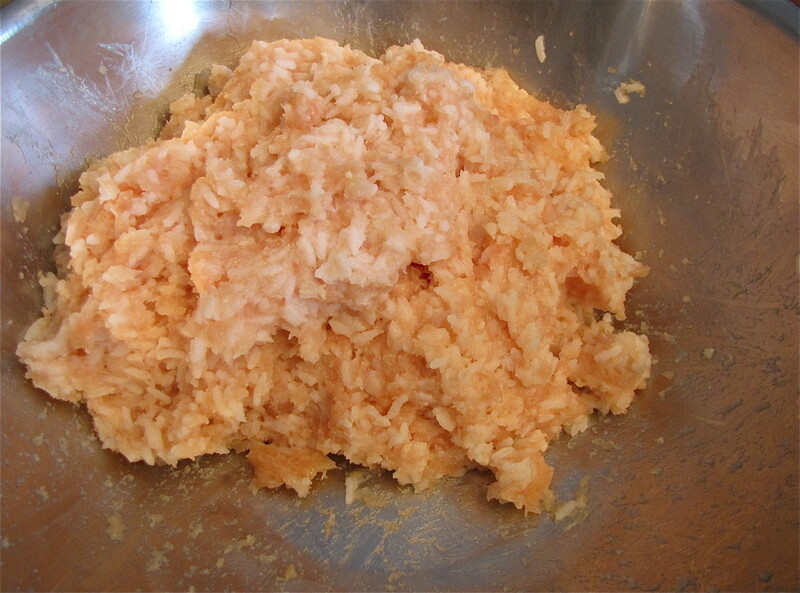 Do you use about a pound of chicken to two cups of rice to make dog treats? Yes, that's about what we use, although it doesn't have to be precise. 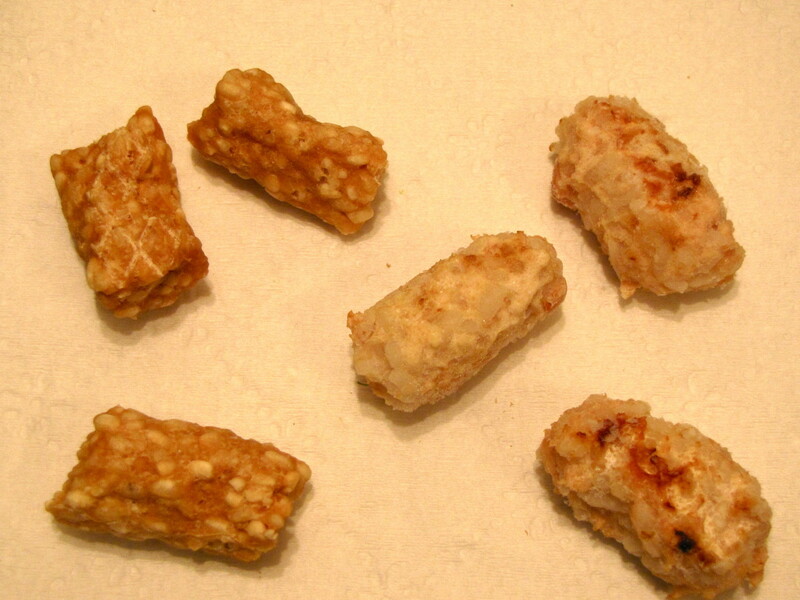 Do homemade chicken and rice dog treats turn hard or semi-soft? Would Gobi eat the chicken and rice separate before you started combining them together? Is brown rice healthier than white rice? Yes, brown rice is healthier than white rice. Brown rice has the edge when it comes to fiber, potassium, protein, magnesium, and selenium. 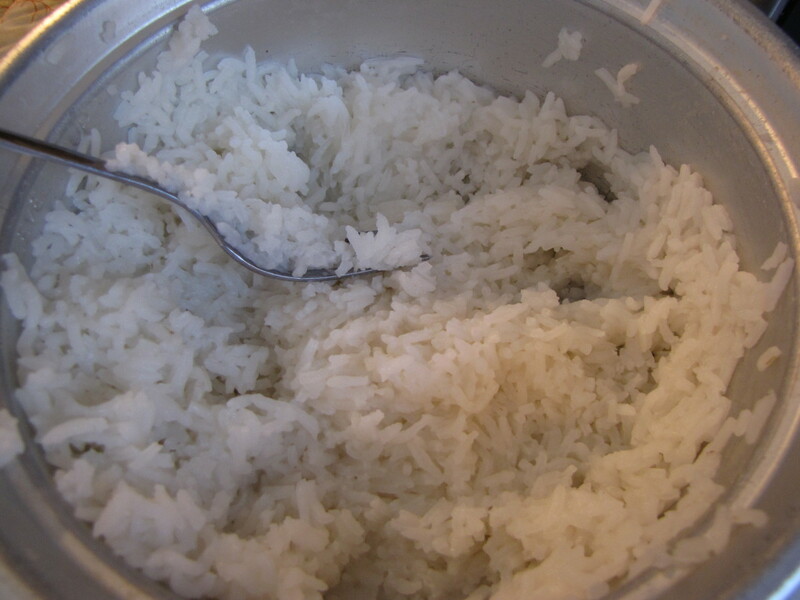 Many people don’t realize that white rice is very processed. Even though white rice is enriched, especially here in the United States, it’s healthier to go with brown rice. How long did you bake the homemade chicken and rice dog treats? They don't take long to cook, 15 minutes or so at 350 degrees. Thanks Suhail. Consider using brown rice instead of white, it’more nutritous. I will surely try this recipe over the coming weekend. Thanks Kate, I will update the hub to avoid using turkey. Have a great day. Great recipe! Thanks for sharing. I noticed an answer from you to Linda a couple years ago that any ground meat would work. I've heard that turkey is really a bad thing for dogs, so please emphasize to your readers to steer clear of turkey. Thanks again Bill, I know my TaffyRose is going to Love the chicken version. Hi Kendall. Hmmm. We have used ground beef on occasion but never had them completely fall apart. Usually the sticky white rice is enough to hold them together until they are cooked. Maybe a little more rice and a little less ground beef? I tried making these treats with ground beef and when I went to roll them over after 15 minutes they completely fell apart. Do you have any suggestions? Hi Heather. 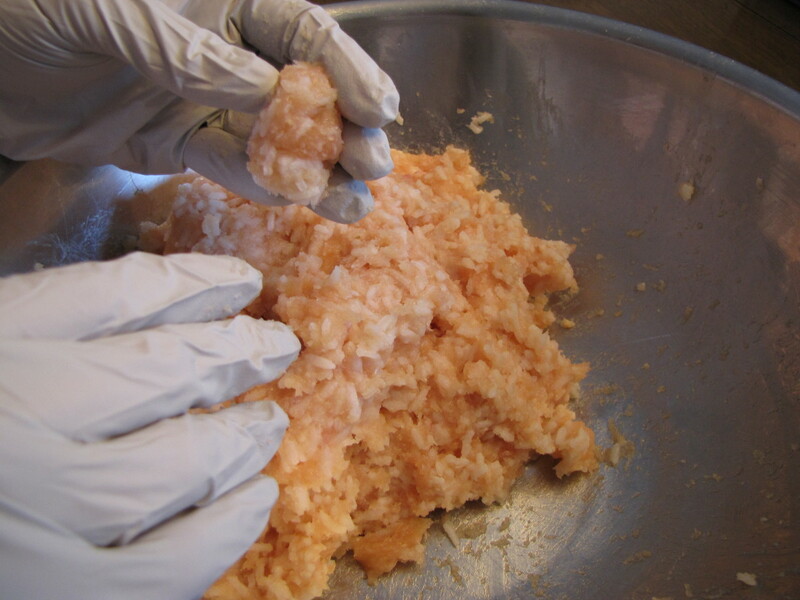 The cooked rice when mixed with the ground chicken should form a very sticky mixture. 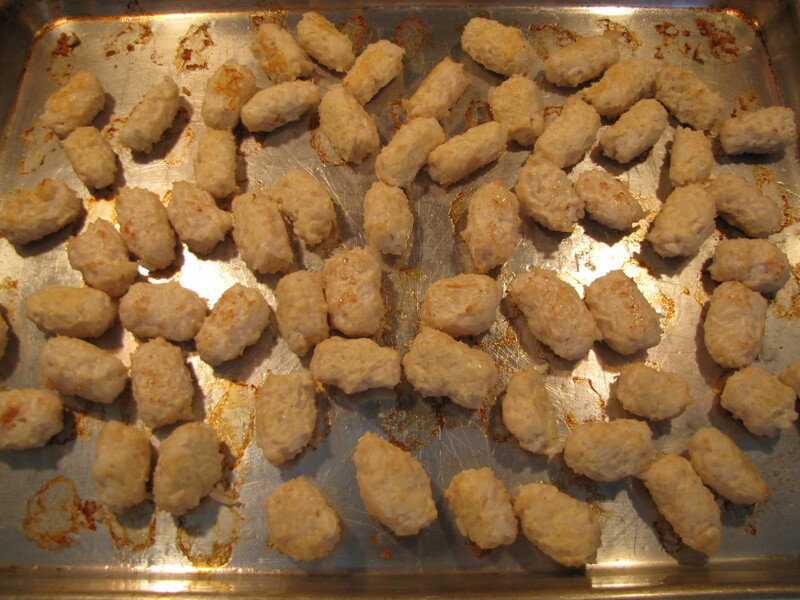 The ground chicken is naturally very sticky and should help to bind the treats together. At this point the chicken is uncooked but the rice has been boiled. The chicken will get cooked when the treats are baked. Good luck. Crispy on the outside but soft and chewy inside. It will depend on how long you bake them. With just rice and ground chicken it will be difficult to get them crispy all the way through without overlooking them. Good luck. Are these suppose to be a soft chewy treat? Hi Linda. Yep. 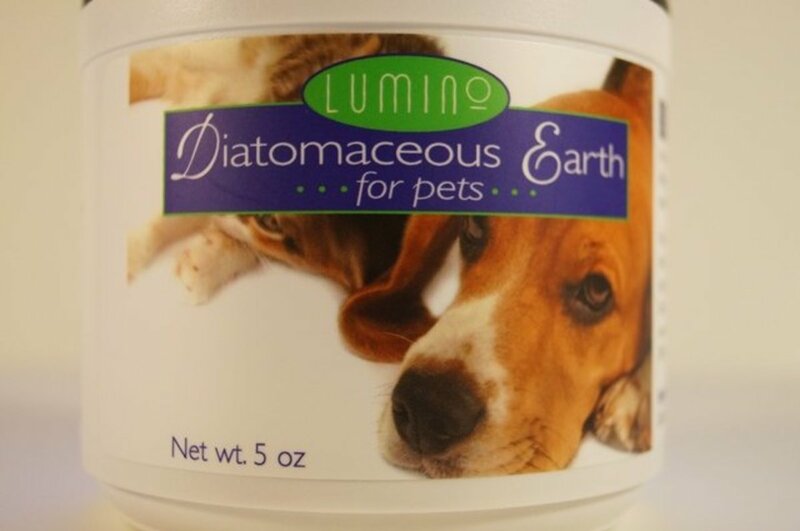 Whatever your shih tzu loves use that. We've made the treats with chicken and hamburger. You could even use both if you think she'll like them. Our shih tzu goes nuts for chicken so we've been using that for the most part lately but any ground up meat that they like will do. Hi Robyn. We have recently started using ground chicken, I just haven't had a chance to update the article. They come out exactly the same and you don't have the mess to clean up in the food processor. Thanks for stopping by, great idea. Why not use ground chicken? Hi bmaggie. After they cool from the oven we actually freeze them and use them from the freezer as needed. We'll throw them in the microwave for 8 to 10 seconds to defrost them. In the freezer they'll stay for a very long time. Good luck and thanks for stopping by. Hi Lisa, glad your doggies love them. It's just so simple and you know exactly what's in them. We just made another batch, which should last 5 or 6 weeks. Our Shih Tzu absolutely loves them also. Thanks for stopping by. Happy New Year. Hi FA. Thanks. She is a cutie. And she still goes nuts for these treats. We're still making batches of them every couple of months and freezing them. Many thanks for the vote, pin, etc..
Gobi is so cute and if pictures are worth a thousand words, she's giving your recipe a "paws up." Voted up and more, pinning. Thank Angelo. It's simple and no chemicals or preservatives and we know exactly where they are made, in our kitchen. ANd, our dog absolutely goes nuts for them so it's a win-win. Thanks so much for stopping by and the vote, share, fb,etc. Have a great day. Hi Jared. Thanks and welcome to hubpages. Let me know if your dogs like them. If they like chicken I suspect they'll enjoy these. We just got tired of reading all the reports on dogs getting sick and how they radiate the treats to kill bacteria. Just doesn't sound too good so we decided to make our own. Hi Ramona. Thank you and welcome to hubpages. 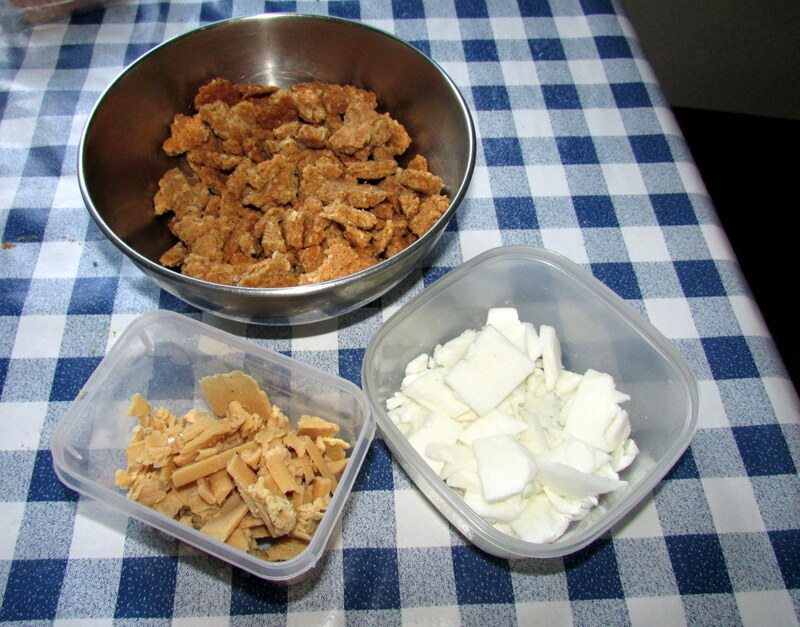 That is why we decided to make our own treats, so we would know exactly what's in them. It's pretty simple, chicken and rice, and she absolutely loves them. This sounds great. 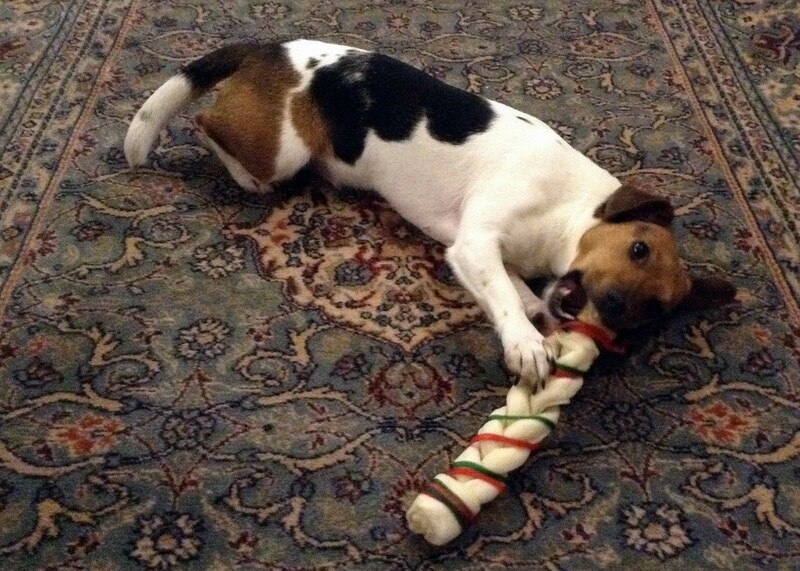 Plus you avoid all the additives that most dog treats have like salts, sugars and chemicals. Thumbs up, facebooked and shared. I love the quality of this Hub, Bill. Thank you very much for some inspirational and informative work. Great accompanying photography too by the way, you've really the set the bar high for me. The most important thing is that you prepared a HEALTHY and NATURAL meal for the dog. No 'chemicals', no radiation. Just good meat/rice and a bit of time to cook it. Thanks rajan. It's pretty simple and our Shih Tzu does love them. I've been known to sneak one from time to time also :) Thanks for stopping by and thank you for the vote, share, pin, etc. What a beautiful treat, Bill and I'm saving this recipe so that I can make them for my dog. Does seem good enough for us as well. Thanks for sharing. Voted up, useful and interesting. Shared and pinned. Hi Sharkye11. Thanks for stopping by. Out Gobi goes nuts over these so we know she loves them. They do make pretty good treats for us also :) Many thanks for the vote, have a great weekend. Wonderful hub! Love the idea of saving a little money by making home-made pet treats. These look like pretty yummy human treats too. These would make a great gift for a pet lover. Thanks for sharing the knowledge! Voting up! Hi Linda. Gobi hit the jackpot when she picked us. She's smarter than the average Shih Tzu and has me well trained, Thanks for stopping by. Hi Sheila. Thank you, she is wonderful. Gobi is the queen of this house. She is named after the Gobi Desert! We are on our second batch of these chicken and rice treats and she still loves them. We will be making a new batch soon. Thanks as always for stopping by, the comments, vote,etc... much appreciated. What an interesting idea and one I will definitely think of for our black lab Coco. It is so difficult to know what is good for your dog and what to avoid I find, A girl in a pet store told us garlic was good and then I read no, not to use it. Thanks a million for doing this it certainly seems to be the business for lovely cute Gobi! Voted up, Useful, Interesting, Shared . . .
Hi Amber. Hopefully your pooch loves them. Thanks for stopping by. Have a great day. This is great! I'll have to try them out. My maltese loves treats! Hi Carter. Thank you. We just got very turned off with what was in the stuff we were buying. Now at least we know exactly what we are giving her. Thanks so much for stopping by and the vote. Have a great day. Can you believe what was in the dog food?? This is a great idea Bill, better for them and cost effective too. Will give these a go as my little guy loves both chicken & rice. Thanks for sharing this...votes for this one!! Hi Mary. The Shih Tzu breed is just wonderful. Gobi is a part of our family and she is just the sweetest dog. She goes everywhere with us. Thanks so much for stopping by and the vote and share. Have a great day. The Shih Tzu is my favorite breed for many reasons! Your Gobi is just adorable. I'm going to try and make these for sure. My little gal will love them, I'll bet. I voted this UP, etc. and will share. Hi Thelma. Thank you. Hopefully Angus will love them. Gobi really loves chicken also so she goes nuts over these. Good luck and thanks for the vote. Hi Naomi. Thanks for stopping by. We store them in the freezer, After they are cooked and have cooled we place them in a zip lock freezer bag and freeze them. We thaw them in the fridge as needed. They will need to be kept in the fridge as there are no preservatives in them. Thanks sos much for reading and your question. Angus will love this, too. Chicken and rice are his favorite. Thanks for sharing this to us bdegiulio. I´ll make this recipe this week. Voted up and useful. Have a great day! BTW, you have a lovely dog. My chihuahua's will love these. They are chicken lovers!i will definitely give this a shot. My question is how and where do you store them? Great information, thanks! Hi Gus. Like I said, they are just as edible for us as for our four-legged friends :) We tried to keep it very simple and healthy. Hopefully your "War Dog" enjoys them as much as Gobi. Many thanks for taking the time to read and comment. Hi Peggy. We thaw them a little so that they are not frozen. You can put them in the fridge to thaw them and keep a bunch handy. Hopefully Skippy enjoys them as much as Gobi. Thanks so much for the comments, vote and share. Howdy Bill - Looking at those treats you made, and knowing what went into them, almost makes a person want to swap places with your little dog. That's right, its all good human kind of chow. thanks for this fine article and the doggie recipe. Our little "War Dog" thanks you as well. I know that our Pomeranian Skippy would love these. One question...do you give them to Gobi when they are thawed or partially frozen? If thawed, I imagine that you could thaw several at a time and keep them in the refrigerator until ready for use. Putting this on my list of things to do. Thanks for the recipe. Your little Gobi is such a cutie! Up and useful votes and SHARING so that other doggies can be treated to such healthy snacks. Hi Mary. Thanks. This whole thing started out as a way to replace Gobi's treats that were being recalled. Unfortunately she really liked them but we just couldn't give them to her anymore. My wife had the idea to try and make them ourselves. Wanting to keep it simple we decided to use just the chicken and the rice, can't get much simpler than that. It all worked out as she loves them. Thought it would make an interesting Hub? Anyway, thanks for the support, very much appreciated. BD, not only a great idea but so easy to make. Dog lovers everywhere will be trying your treats...no preservatives, no additives, no allergens, it's a win, win situation. Thanks for the great recipe and directions. My dog, Buzz, thanks you from the bottom of his stomach! Hi Pam. Thanks for stopping by. We had some fun doing this and Gobi seems to love them so it was a win-win. And yes, she is beautiful, thank you. She is also spoiled, but she is what she is! Have a great day. 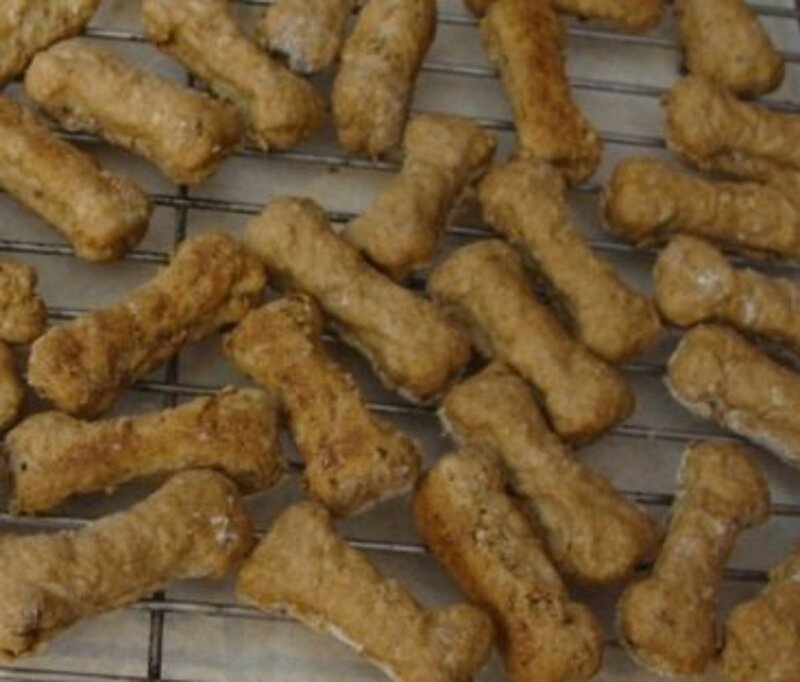 Making your own dog treats is a great idea. You dog is adorable also. The treats look good and nourishing too. The cost is great also. Thanks for sharing this recipe. I noticed your hub on homemade dog treats, will be heading over there shortly to read. It amazes me how active our 11 year old Shih Tzu still is. She is spoiled however, and has a very determined personality to her. I have an old Maltese so I know about those active older dogs! I have a few hubs about homemade dog treats, so if I write another I'll be sure to reference your recipe. Hi Kim. Oh yeah, she is one spoiled Shih Tzu. Thanks for the visit. Hi lhale. She certainly is. Thank You. cute spoiled doggy! Sounds like a great idea! Hi Bill. I have to admit that I tried them before I gave them to Gobi. They really were quite good. They're only rice and chicken so they are perfectly safe and edible for us to eat, although I think I'll save them for Gobi. As always, many thanks for stopping by, have a great weekend. Hi Carol. What prompted us to try this was our pet supply store telling us the news about some dog treats being irradiated and being harmful to dogs. We thought it would be a fun thing to try and make our own, which it certainly was. Thanks for stopping by, have a great weekend. They look good enough for me to eat; not sure I would share with our dogs. LOL Thanks for a great idea, and have a great weekend, Bill. They sound good, but somehow mentioningdog treats may be a turn off for real people. I have a darling dog living next door..and I think I will have to try this..Any for cats???? ?